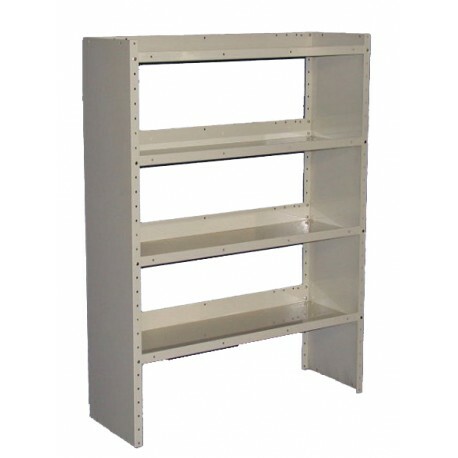 Shelf Unit is 62" high x 42" wide x 14" deep with4 shelves adjustable on 2" centers. 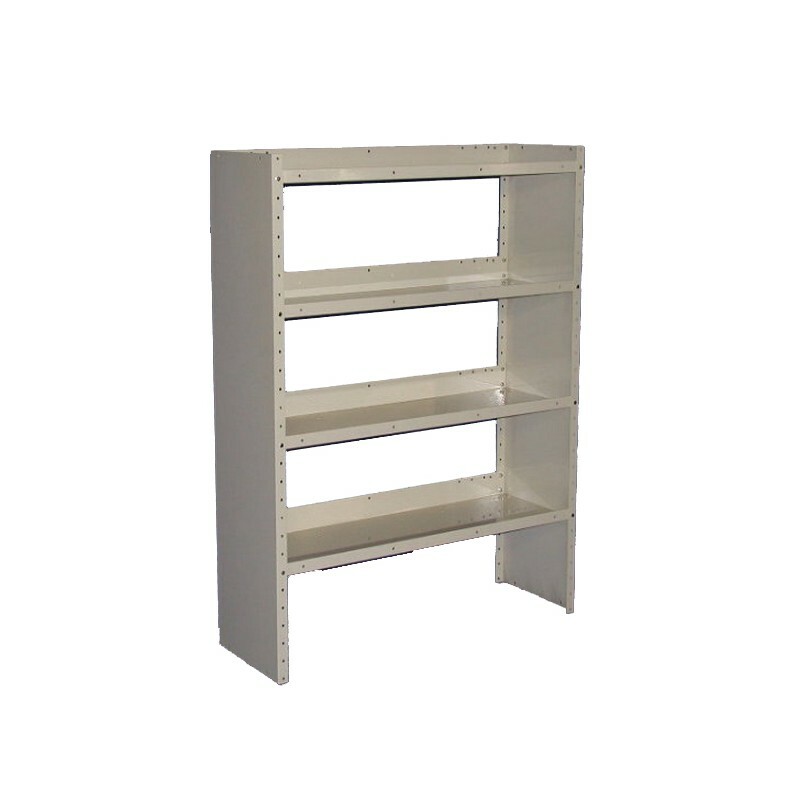 Shelf Unit is 62" high x 42" wide x 14" deep with4 shelves adjustable on 2" centers. Heavy duty 16 guage steel shelves with double hemmed front lip 1.5" high and rear lip 3" high. Add Additional Shelves, Locking Doors, Retainer Lips, Dividers and Drawer Cabinets as you wish. Just click on Drawers and Accessories on the menu bar. Finished in a durable baked on off-white powder coating to reflect more light in your van and help you see better. Comes complete with all hardware, brackets and assembly and installation instructions.We recommend measuring your truck to ensure a proper fit.